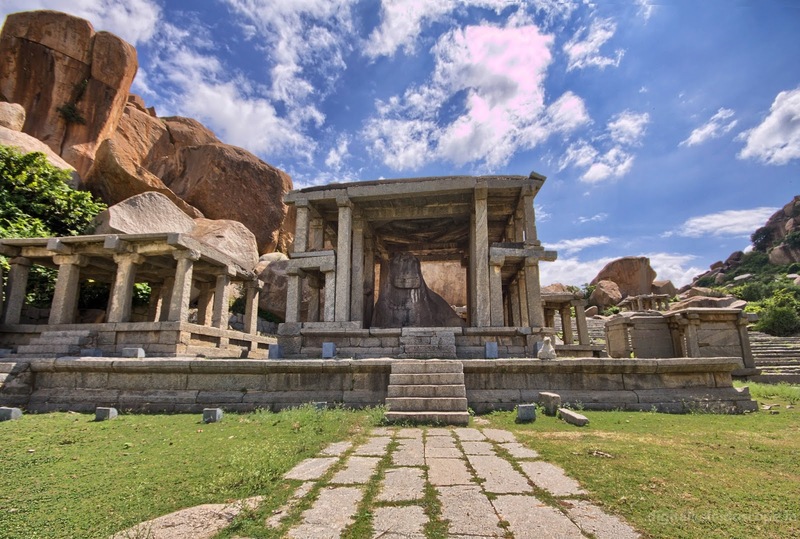 Hampi was the Imperial capital of Vijayanagara, a powerful South Indian Empire. 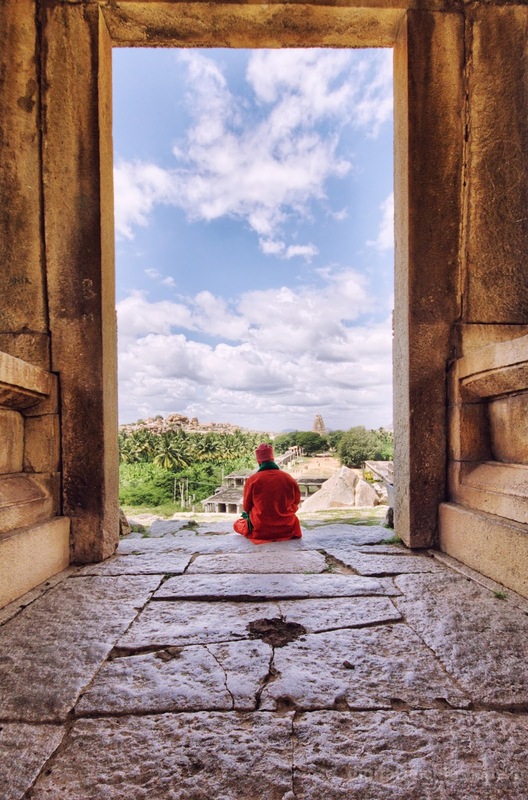 During the 14th century Hampi was one of the richest cities in the world. The empire collapsed in the 1500's after being at war with 5 other medieval kingdoms and the city was ransacked and completely destroyed. 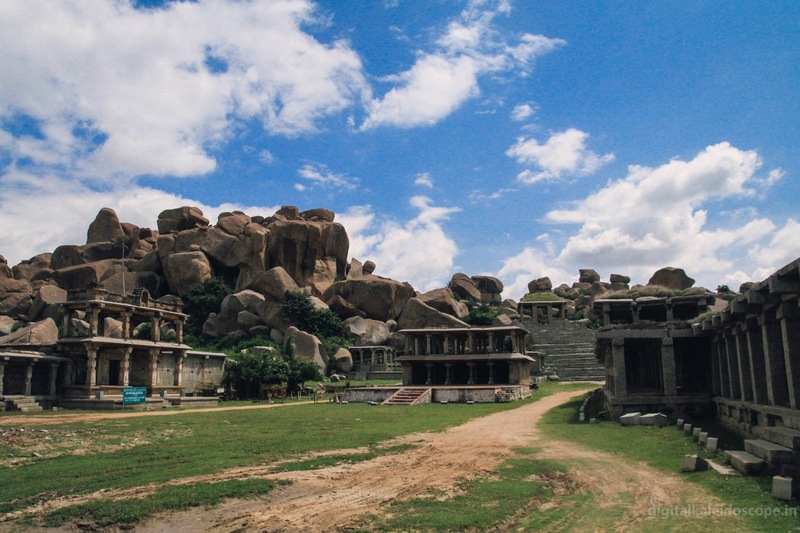 A few old temples and monuments stood the test of time and still remain scattered among the rocky landscape of Hampi. 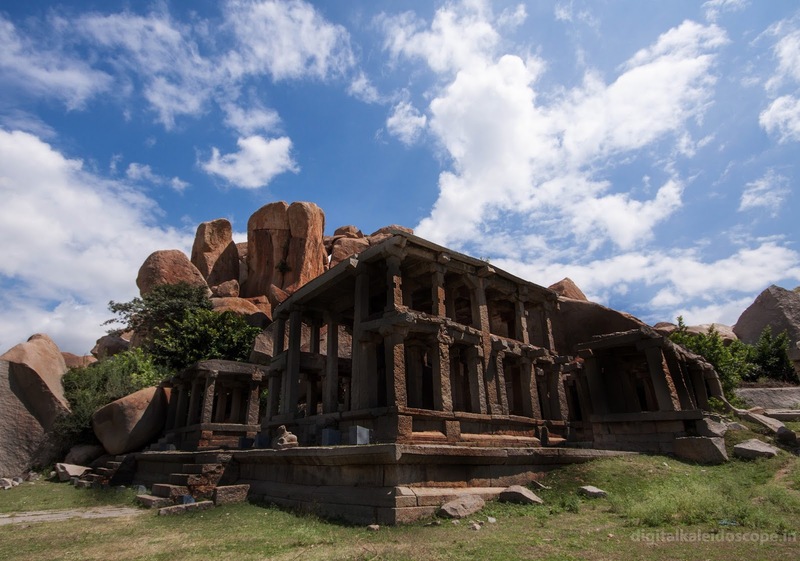 Hampi is located on the southern banks of the Tungabhadra River surrounded by Rocky Mountains and rough terrain. 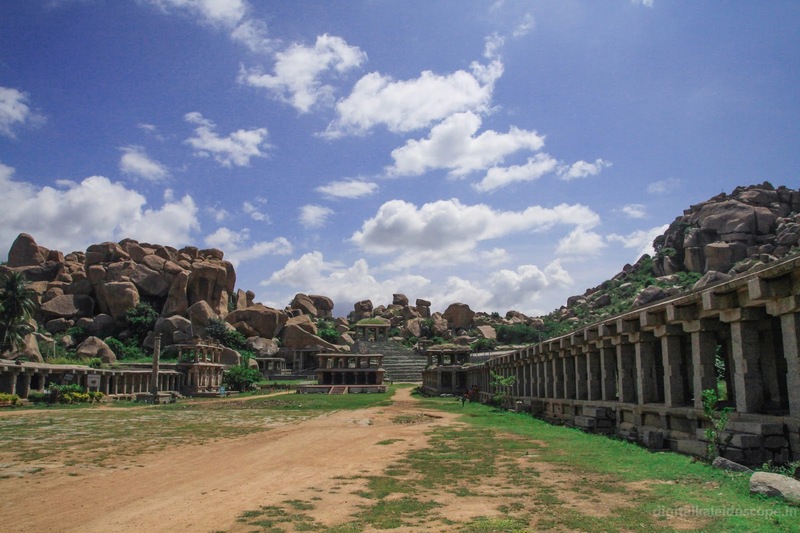 The closest city is Hospet which is 12 km from Hampi , this is where we stayed for 3 days. You get around Hampi via Autos, we found a really helpful guy who took us around and also served as a guide although some of his stories were hard to believe. 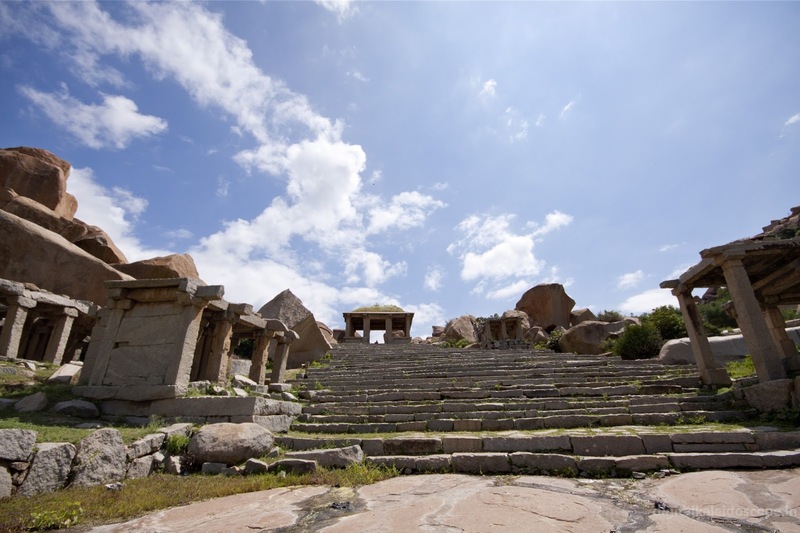 Our first destination in Hampi was the ruins of Hampi Bazaar which lies on the western exit of Virupaksha Temple Complex. The Bazaar is a street about a KM long starting at the temple and ending at the foot of Matanga Hill. Both sides of the street are lined with rock pillars that was once shops and homes of traders. I was told that were street vendors who had set up shops with handicrafts till about a few years back but were asked to clear out as it is an archaeological heritage site. At the end of the street facing Virupaksha Temple is a huge nandi (bull) statue housed inside a double storied pavilion build on an elevated platform. 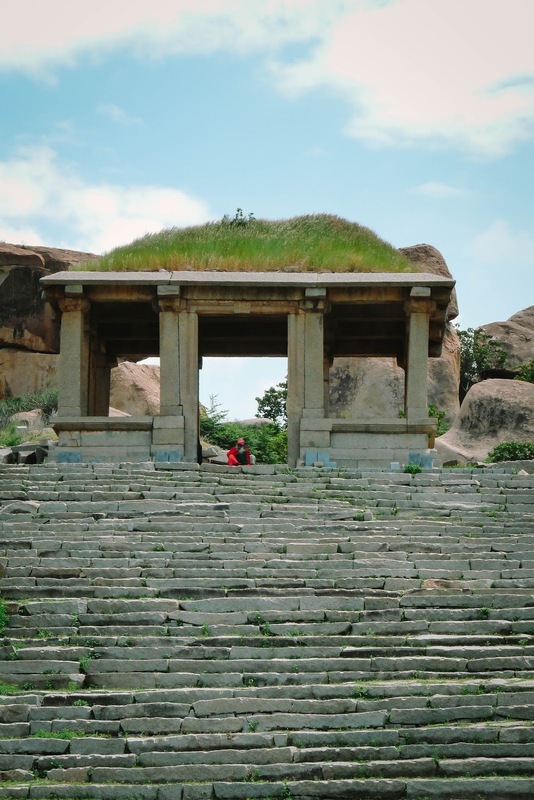 Nandi is the mount of Lord Shiva to whom the virupaksha temple is dedicated to. A small spec can been seen on top of the hill in the next picture, looking closer it was a silhouette of a man ; I got curious and I went up the hill . 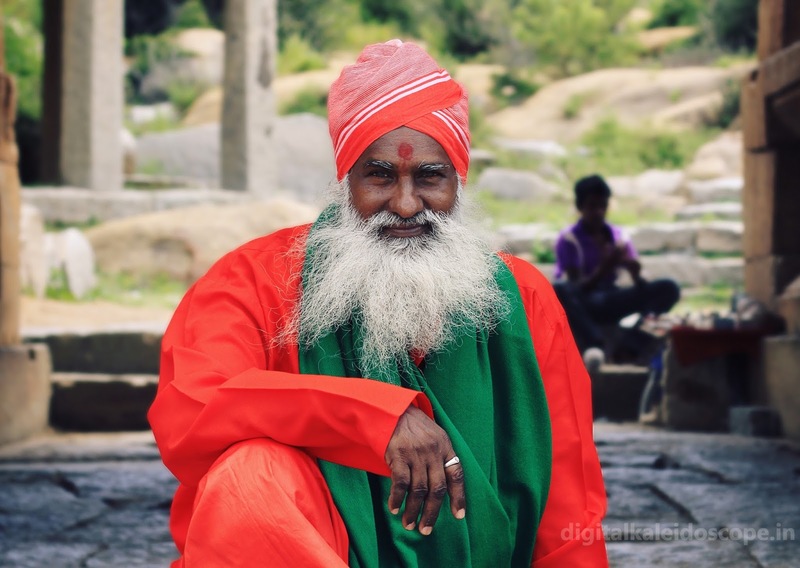 At the top resting under a ancient entrance was a sage dressed in bright orange and a white fluffy beard. He seemed to be in a peaceful trance. I walked up to him and asked him if I could take a photo, he didn't say anything but gestured me to sit down. 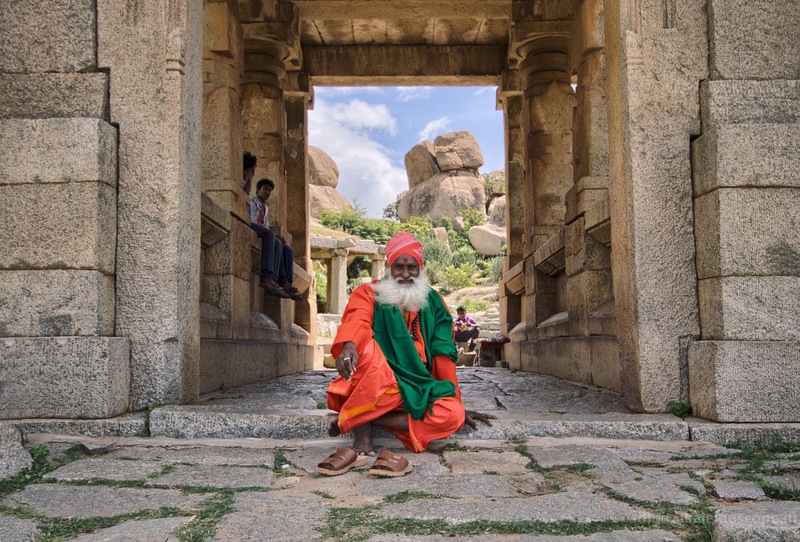 I sat next to him on the stone floor and then he pointed to the temple at a distance and said "Imagine how this place would have been thousands of years ago". The view from up there was breathtaking! The sage asked my name, where I was from, my religion etc. It was a very interesting conversation. I asked him again if could take a pic of his and this time I seem to have earned his trust and he said sure and smiled happily for a few pictures. 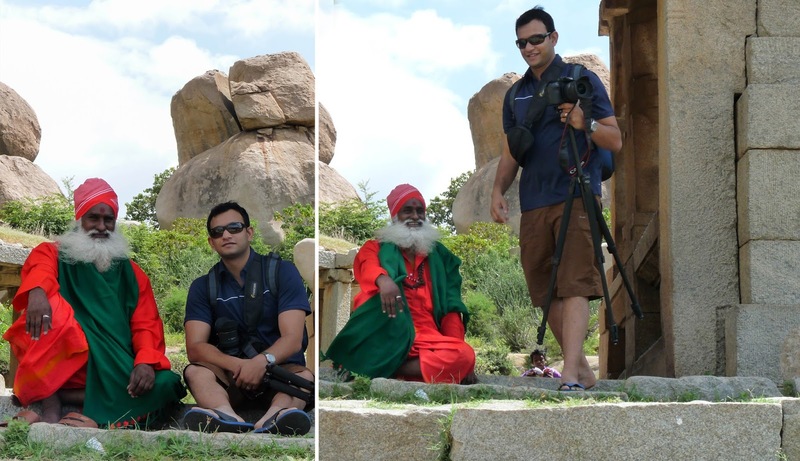 That's the story of the smiling sage I met on top of Matanga Hill. 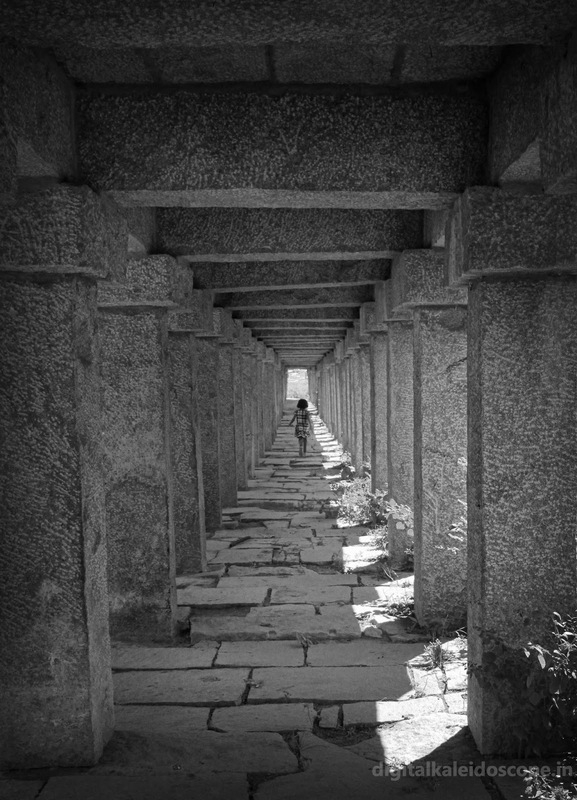 By the end of day one I was so in love with Hampi that I couldnt wait to see more the next day. We also visited the Virupaksha Temple on the same day, will upload those photos soon.